I found this recipe from Real Simple a few years ago, and made the cookies once before…maybe even before this blog! Since we’re cooking Thanksgiving dinner for ourselves and my brother, I thought I’d give them a try again. Really, Thanksgiving is the last opportunity for pumpkin flavored food. 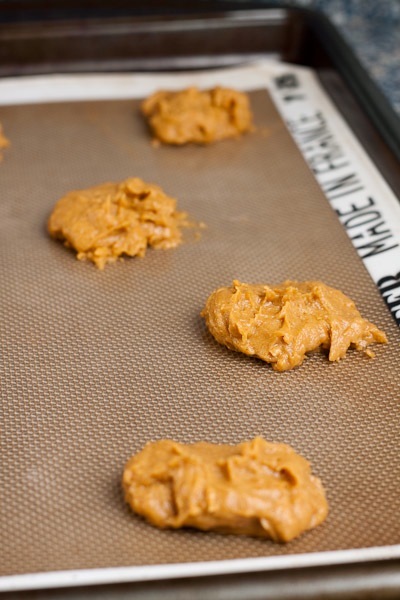 Pumpkin spice cookies…Good. 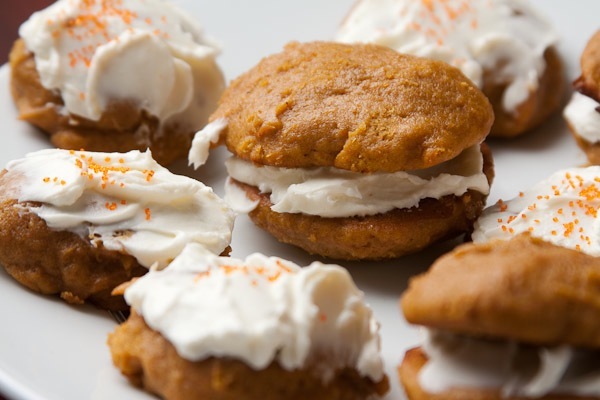 Pumpkin spice cookies with cream cheese frosting…better! The recipe actually calls for making these cookies into sandwiches, kind of like a whoopie pie. But, you don’t get a good cookie-to- frosting ratio that way. So, instead, I simply spread the tops with the cream cheese frosting and added a few orange sprinkles. The cookies can be made up to 3 days in advance and kept in an airtight container. Whip the cream cheese and assemble the cookies no more than 2 hours before serving. 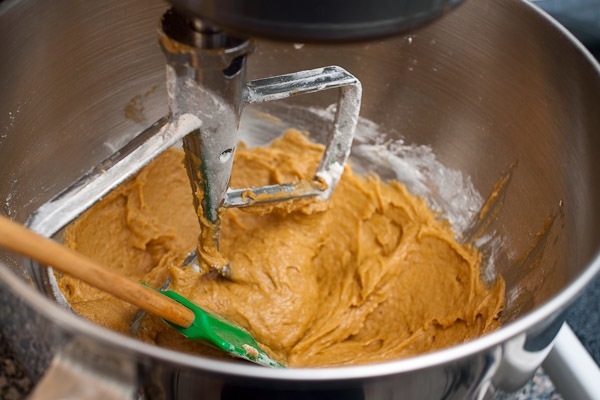 Beat the butter, brown sugar, and granulated sugar in the bowl of an electric mixer fitted with a paddle attachment until smooth. Add the pumpkin, vanilla, and egg and beat until combined. Combine the flour, baking powder, baking soda, pumpkin pie spice, and salt in a medium bowl. Slowly add the flour mixture to the sugar and butter and beat on medium-low speed until fully incorporated. Spoon heaping tablespoons of the mixture 2 inches apart onto parchment- or foil-lined baking sheets. Bake until puffed and cooked through, about 10 minutes. Let cool for 5 minutes. Clean the mixer, then, as the cookies bake, beat the cream cheese, heavy cream, and confectioners’ sugar until smooth and spreadable. Spread the flat sides of half of the cookies with the cream cheese frosting and top with remaining cookies. Or, spread the frosting on the tops of the cookies.